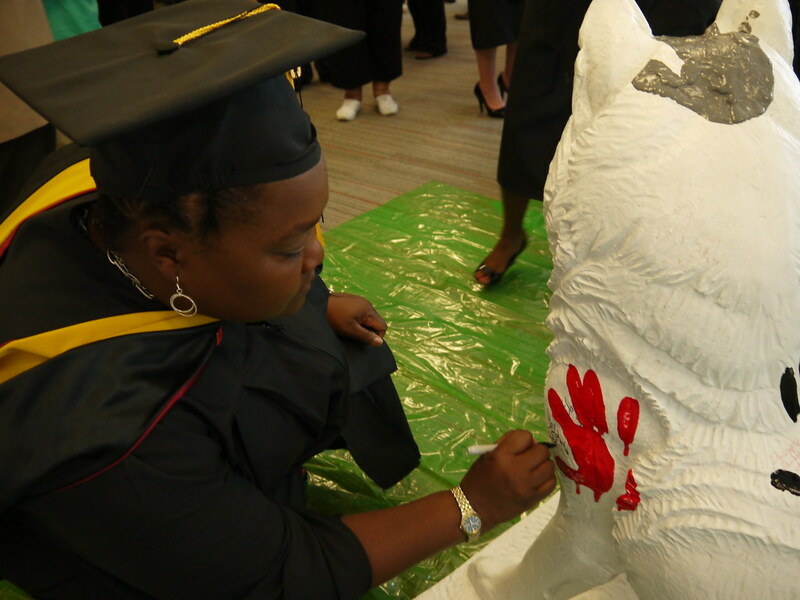 Join us on April 27 for Experience Northeastern, where you can explore our programs—including bachelor’s completion, certificates, master’s and doctoral degrees. Scholarships of up to $2,500 are available to new full-time students who enroll and start in an eligible program in Fall 2019. Ready to get moving on a nursing career? If you have a bachelor’s degree in another discipline, the Accelerated BSN program can prepare you for the nurse licensure exam in as few as 16 months. "I get the quality and program options I need, the flexibility of online classes, and the community of faculty and students." "My professors have made it possible for me to meet others in the industry. This is expanding my network, which will lead to meaningful job opportunities." "Northeastern has something for me that a lot of MBA programs around here didn't have, and that was a concentration in high technology management." Northeastern’s experience-based education is well suited for those who’ve served in the military. Working in partnership with Fort Bragg, we’ve helped dozens of veterans and servicemembers transition to fulfilling civilian careers. In addition, we’ve invested over $2 million in the federal government’s Yellow Ribbon Program to help our 9/11 veterans meet the cost of completing or continuing their education. Northeastern understands the importance of recruiting and retaining high-quality talent to help advance your business. Though it may seem hard to find this talent, it’s not impossible—when you partner with Northeastern. In coordination with our many in-demand degree programs, we offer students the training, professional development, and co-op opportunities to help them transition seamlessly to your workplace. Average salary for Project Manager position in Charlotte, N.C.
Our Accelerated BSN Program in Charlotte leverages your non-nursing bachelor’s degree from an accredited institution so you can quickly transition into a successful nursing career. As today’s workforce continues to diversify, leadership tasks and responsibilities have become more complex. The Master of Science in Leadership prepares students to meet these evolving challenges by helping cultivate a personal leadership philosophy. Northeastern University–Charlotte is celebrating its 7th Annual Local Leaders Global Impact Speaker Series. Since 2012, the program has highlighted important topics that have a local, national, and global impact. Join us for stimulating discussions featuring local experts and globally-renowned Northeastern faculty and researchers. Northeastern–Charlotte is located in the Uptown section of the city, at the center of the country’s hub for finance, advanced manufacturing, energy, and healthcare—keeping faculty and students close to vital business in the region and the world.